TOP FLOOR PENTHOUSE SOUTH EAST CORNER DIRECT OCEAN CONDO. 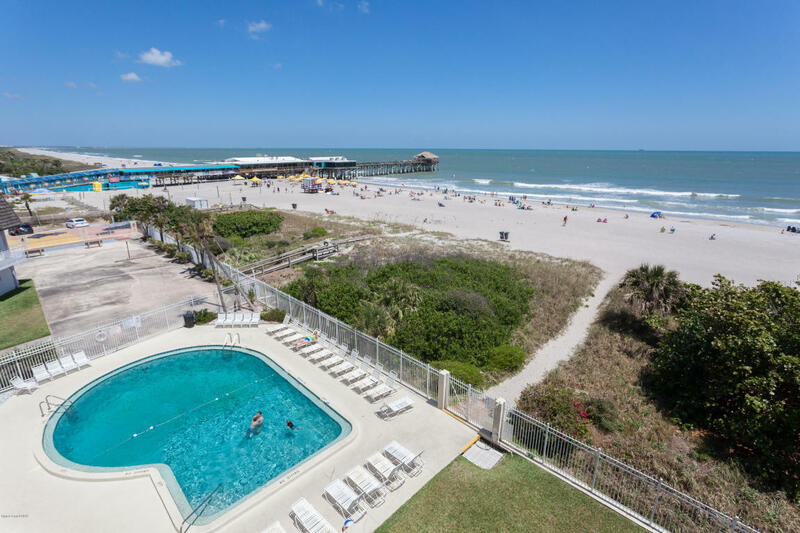 Spectacular panoramic ocean views from every room of this spacious two bedrooms and two bath unit. The living space is light and bright with the first balcony overlooking the ocean and pier. The larger master suite has a east facing balcony and floor to ceiling window with a view of the ocean and coastline that goes on forever. The guestroom has floor to ceiling windows with a view of the ocean and coastline as well. Look at the ocean while washing dishes from the galley kitchen. Great investment weekly rental property!! Watch the launches and the returns from your balcony. The pier, restaurants, shopping and Publix are in walking distance.